SOUTH Fremantle delivered a brilliant performance in Saturday's WAFL qualifying final at Fremantle Community Bank Oval to beat West Perth by 98 points to book in a second semi-final battle with Subiaco. 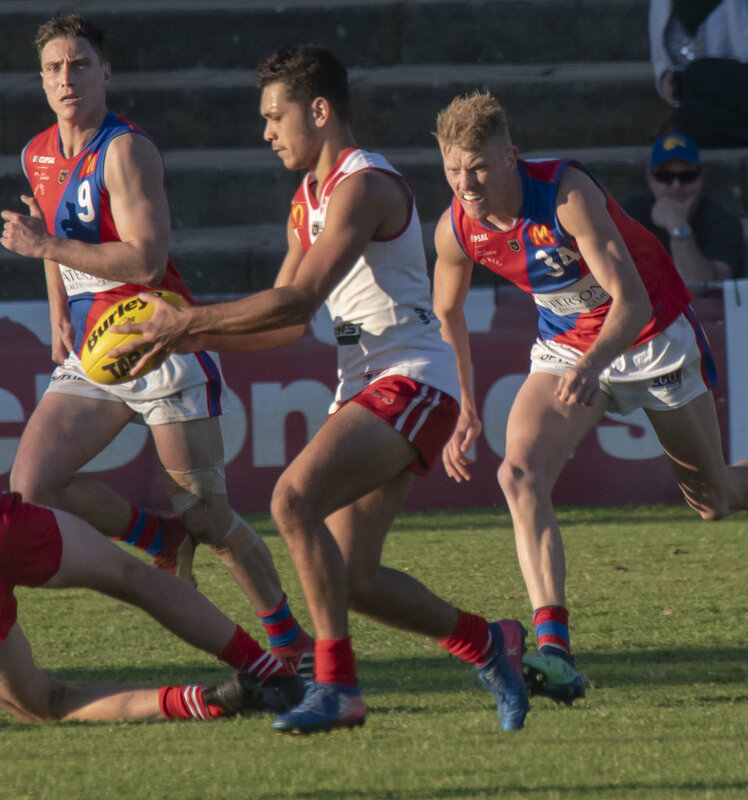 South Fremantle took over the contest following West Perth managing three consecutive goals early in the second quarter to get back within five points. The Bulldogs went on to kick the game's next 13 goals with the Falcons only managing one more goal for the afternoon after the 10-minute mark of the second term. That meant South Fremantle made it nine consecutive wins against West Perth dating back to the start of 2016 and ended up with the thumping 22.12 (144) to 6.10 (46) win. The win means that South Fremantle moves into Sunday's second semi-final against Subiaco at Leederville Oval. The winner goes straight into the 2018 Grand Final at Optus Stadium while the loser will host the preliminary final the following Sunday. 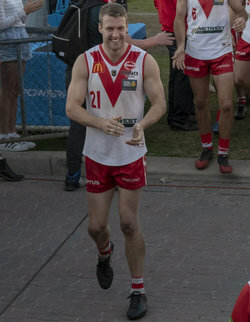 The 144-point total is also the highest South Fremantle has scored in a final against West Perth and the 98-point win the biggest margin in a final ever by the Bulldogs. On top of that, it's West Perth's biggest ever loss in a final and their score of 46 is their third lowest ever in a final. 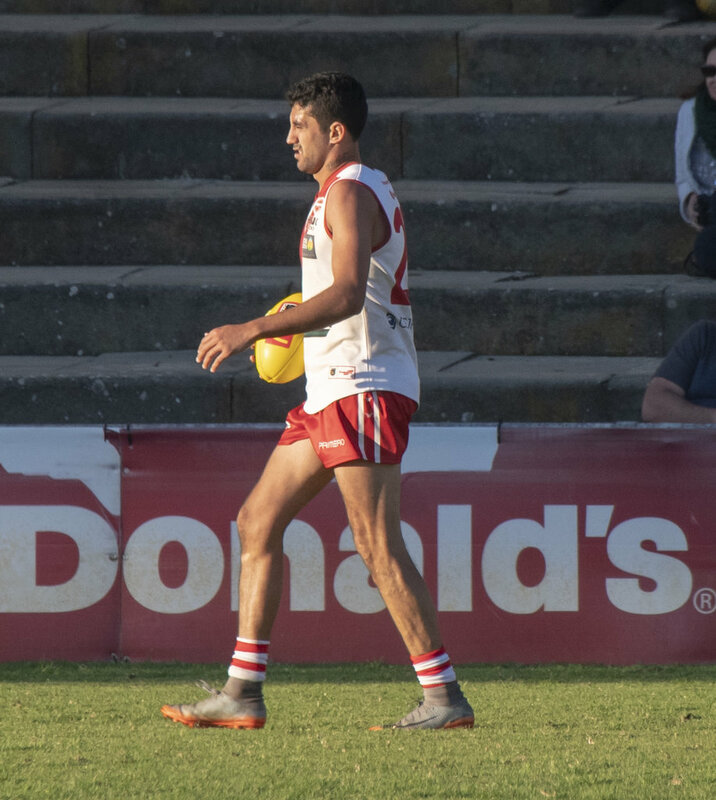 Marlion Pickett delivered a dazzling best on ground display for South Fremantle continuing his outstanding season since moving into the midfield in 2018. He finished the afternoon with 26 possessions, eight inside 50s, seven marks and four goals in an unstoppable performance. Mason Shaw kicked another six goals for the Bulldogs to go with 17 disposals and nine marks to mean he has now kicked 18 goals without a miss over the past three weeks to help cover for the absence of the injured Ben Saunders and departed Blaine Johnson. 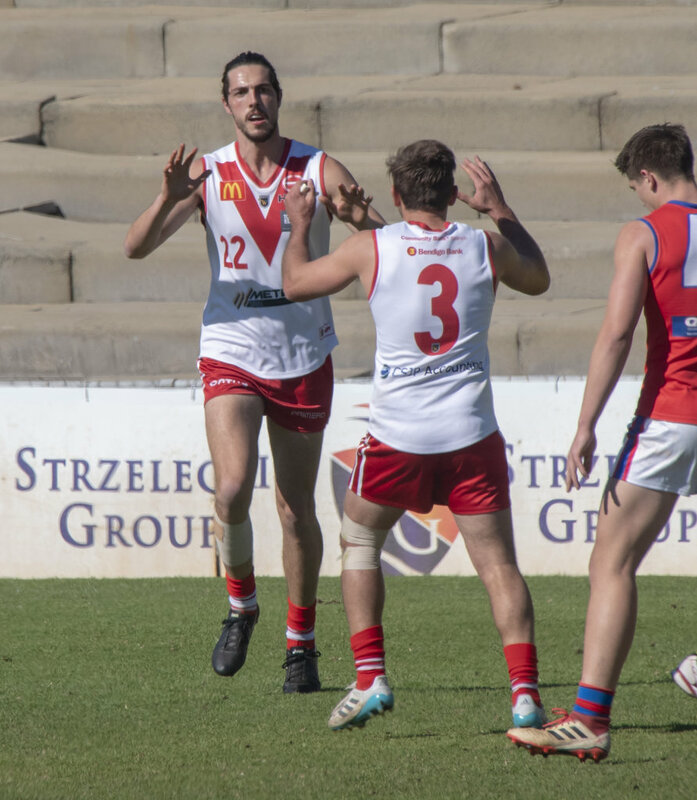 Cory Dell'Olio kicked three goals as well for South Fremantle from 22 possessions while Sandover Medallist Haiden Schloithe was right at his best with three goals from 28 disposals and seven marks. South Fremantle's midfield got right on top the longer the afternoon went with Nick Suban collecting 29 possessions while Ryan Cook finished with 28 disposals (11 marks), Steven Verrier 24, Shaun Bewick 22, Shane Hockey 22, Brandon Donaldson 22 and Dylan Main 22. The Bulldogs' back-line was superb with Noah Strom getting the better of Tyler Keitel for the third time in 2018, keeping the joint Bernie Naylor Medal winner to just two goals and six kicks. Jason Maskos had the job on the other Bernie Naylor Medallist for 2018, Andrew Strijk, and limited him to one goal and seven kicks. Blayne Wilson was also tremendous across half-back with 27 possessions and 14 marks with Steven Edwards adding 22 disposals and six marks, and Chad Pearson 19 touches, five marks and a goal. Brock Higgins battled hard in the ruck with 14 possessions and 36 hit outs with support from Zac Strom who had 17 touches, nine tackles, eight marks, 13 hit outs and five inside-50 entries. 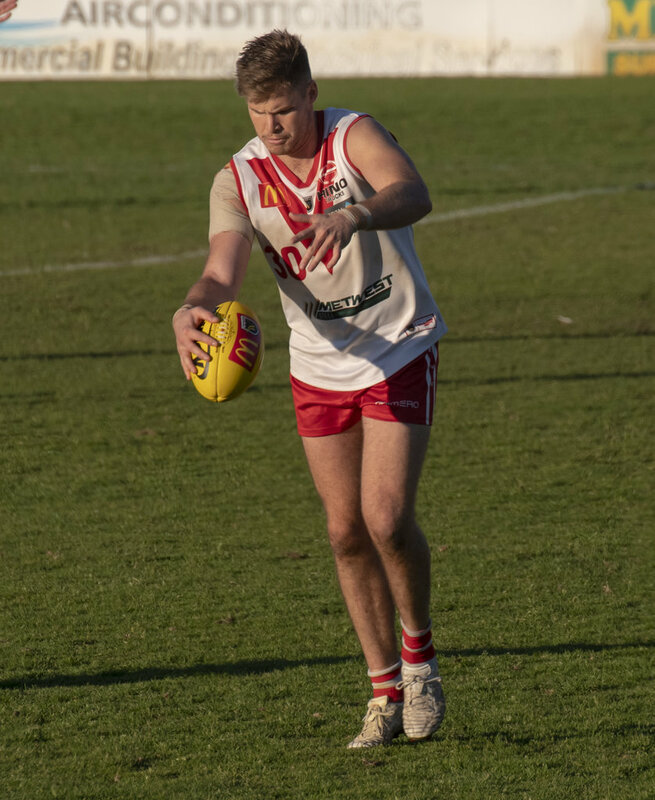 It took only four minutes for Mason Shaw to continue his stunning recent form and kick the first goal of the qualifying final for South Fremantle. Chad Pearson added a second for the Bulldogs less than two minutes later and when Marlion Pickett kicked truly from a set shot at the 13-minute mark, the home team was off to a flying start. West Perth did respond when the crafty Keegan Knott swooped to run into an open goal and then Andrew Strijk marked and goaled too to bring the Falcons back within a goal. But two more goals to Shaw for South Fremantle before quarter-time put his team up by 16 points at the first break. 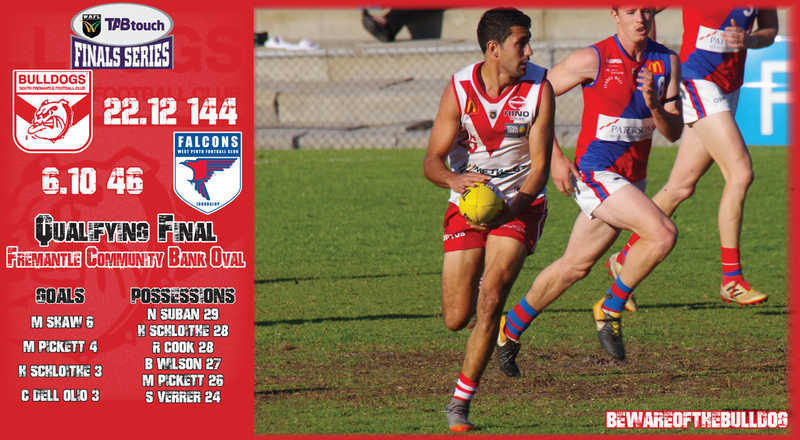 Pickett added a second goal to start the second term for South Fremantle well inside 30 seconds but West Perth then put together its best period of the afternoon. 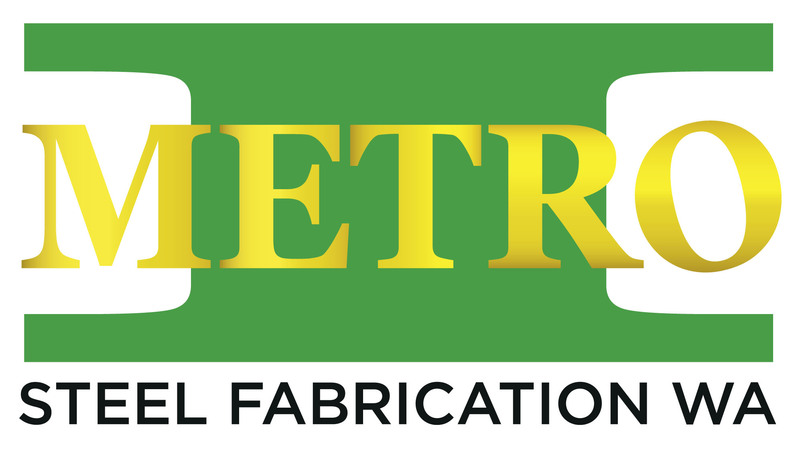 The result was two goals to Knott and another to Tyler Keitel and the stage was set for a cracking qualifying final with the margin just five points at the 10-minute mark. It was an arm-wrestle for the next seven minutes before Shaw kicked a fourth goal for South Fremantle and then the floodgates opened with West Perth unable to go up a gear when the Bulldogs rose their level. South Fremantle finished the first half with goals to Haiden Schloithe, Cory Dell'Olio and Ashton Hams to lead by 31 points at the main break. The rout continued in the third quarter with Shaw booting a fifth goal, Dell'Olio a second and third, Brandon Donaldson a first, Pickett a third, Schloithe a second and third, and then Shaun Bewick kicked truly against his former team as well. West Perth went goalless for the third quarter with South Fremantle piling on eight unanswered goals to lead by 80 points at the last change. Shaw started the last term with his sixth of the day and then after West Perth finally ended its two quarter long goal drought with Keitel alone in the goal square, the Bulldogs still kept the foot down with the last three goals of the game to lead by as much as 99 points and win by 98. 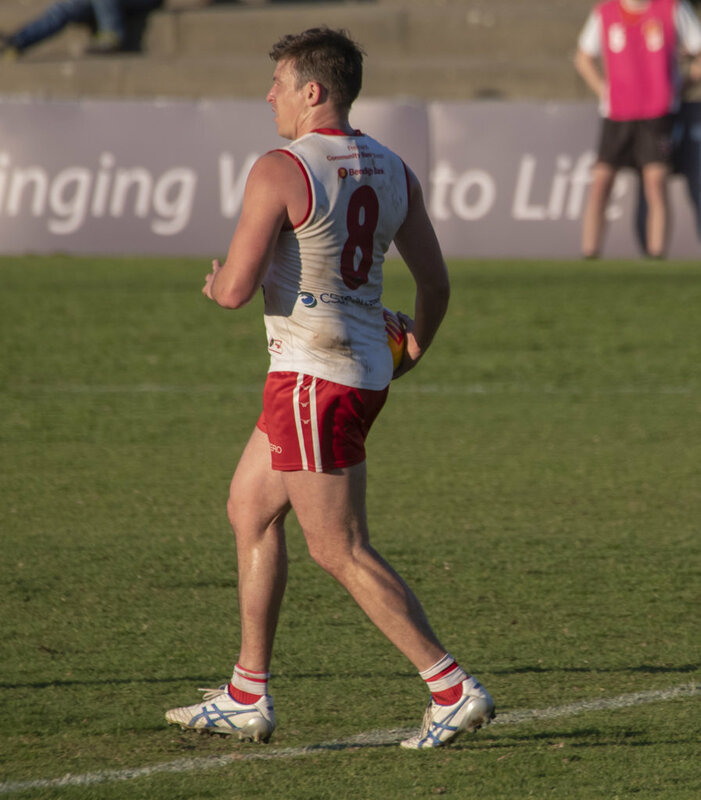 Meanwhile, South Fremantle's colts had secured a finals berth by beating East Fremantle in the final round of the home and away season and denied the Sharks a top three finish and finals double chance in the process setting the stage for Saturday's elimination final. On the back of that game the previous Saturday at East Fremantle Oval where the Bulldogs had to win in order to play finals but the added factor ended up being that through the percentage lost, the Sharks slipped from third to fourth position at the same time. 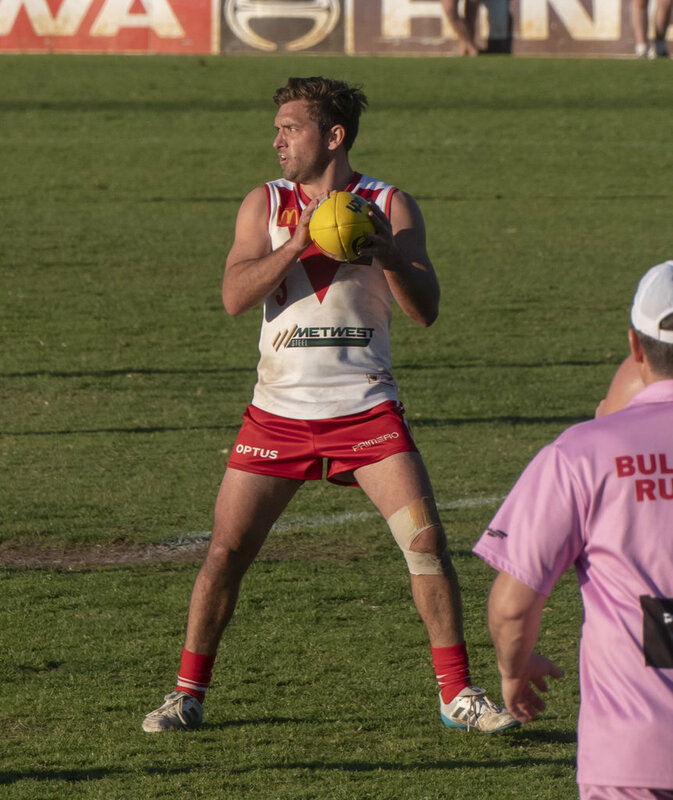 So East Fremantle certainly headed to Fremantle Community Bank Oval on Saturday morning with their eyes on revenge but South Fremantle too deserved to be full of confidence following that victory over the same opponent. 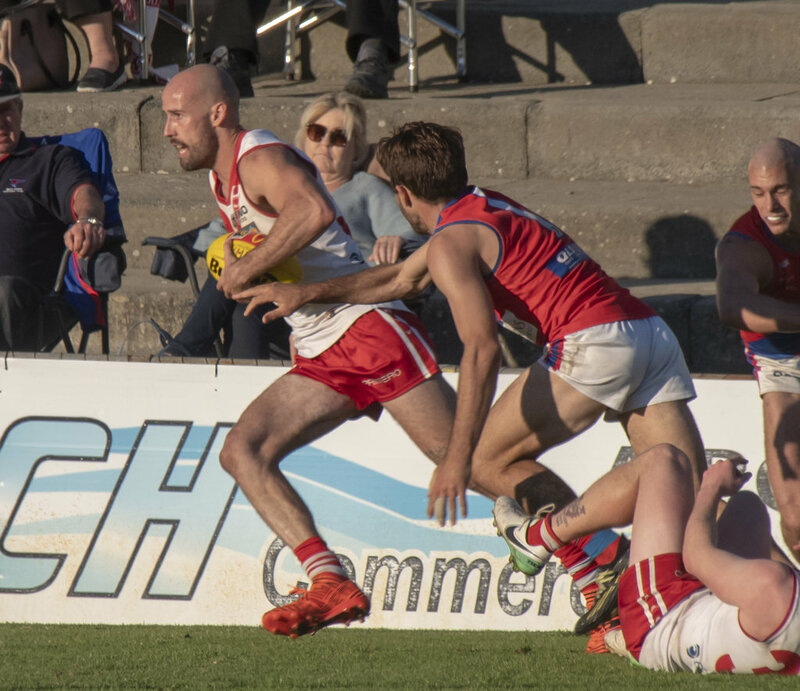 For three quarters it was a tremendous hard fought contest as well with South Fremantle kicking three goals to two in the opening quarter to lead by eight points at quarter-time. 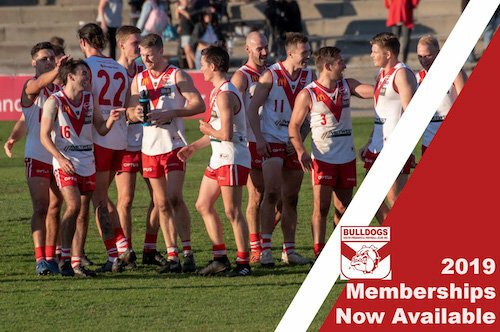 The Bulldogs continued their impressive form with another three goals to two in the second term too to head into half-time with a 13-point advantage. East Fremantle fired back with a huge third quarter, though, kicking seven goals to two to end up with a 19-point lead at three quarter-time. The Sharks then continued that momentum going with another seven unanswered goals in the last quarter to end up winning 18.7 (115) to 8.5 (53). 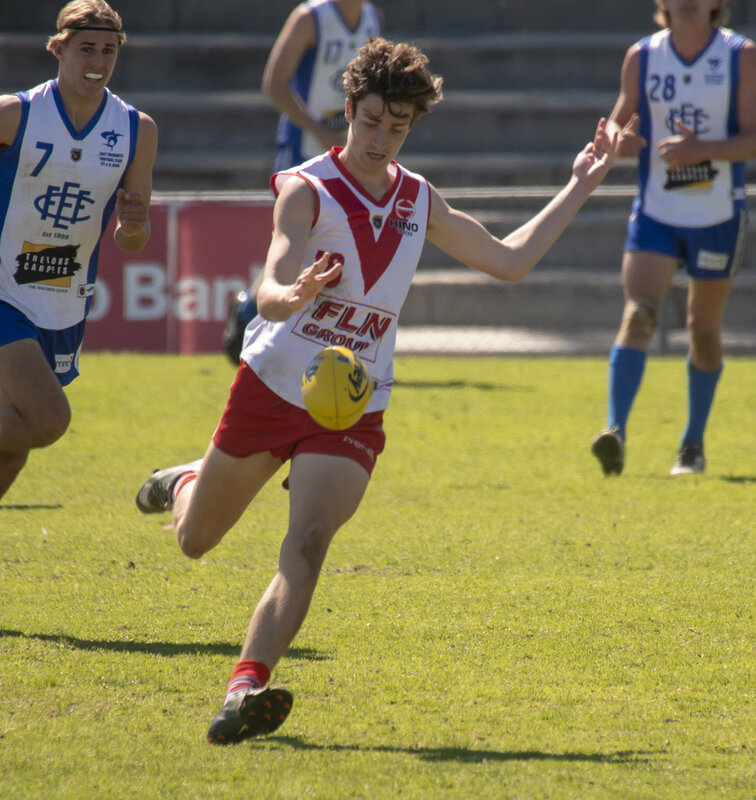 The loss ends a brave and encouraging season by South Fremantle's colts with a whole host of talent who will go on to either end up on AFL lists or be league footballers with the Bulldogs. Luke Moore kicked five goals for South Fremantle from nine kicks and five marks with Ira Jetta, Lachlan Johnson and Nash Miller also kicking a goal apiece. James Russell amassed 26 possessions for the Bulldogs, Kyle Hamersley 25, Matthew Ward 22, Tom Blechynden 15, Jack Musika 14, Josh Grant 14 and Angus McKay 14 (23 hit outs). SOUTH FREMANTLE – Goals: Shaw 6; Pickett 4; Schloithe, Dell'Olio 3; Bewick, Verrier, Pearson, Donaldson, Cook, Hams. 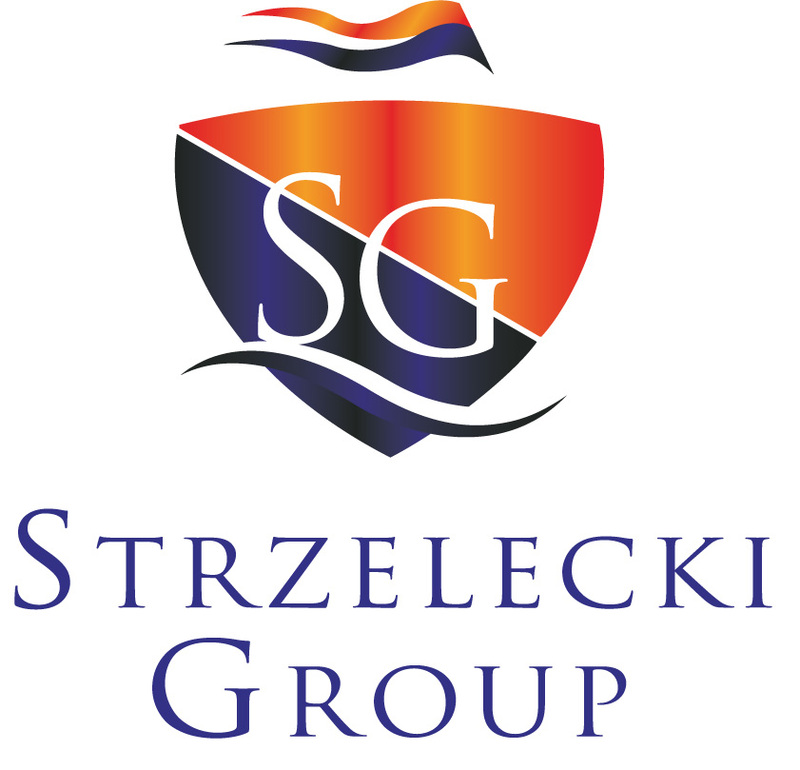 Best: Pickett, Schloithe, Shaw, Dell'Olio, Suban, Cook, Wilson, N Strom, Maskos. WEST PERTH – Goals: Knott 3; Keitel 2; Strijk. Best: Nelson, Black, Manzone, Knott, Guadagnin.